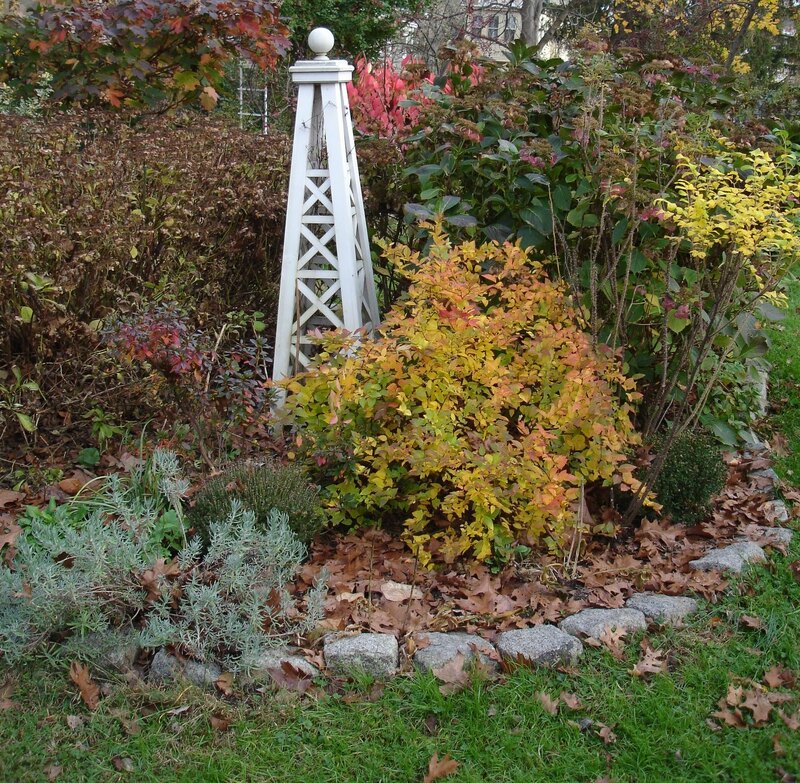 The Next Stage: Women and Retirement: How is gardening like politics? This may seem like a ridiculous question but there really is a connection. To everything there is a season. Each Spring and Fall there is an election We political activists work really hard and sometimes we have a great victory (2008) and sometimes a crushing defeat (2010). But there's another election in six months or so and a chance to make up lost ground. The next election is for municipal candidates-—mayor, city council candidates, judges. (Unfortunately we elect judges in Pennsylvania.) Philly is very dependent on resources from the state and federal government, and the future looks grim. We need the best possible local leaders to get us through these tough times and figure out how to work with the Republicans who control state government. So I’ve already switched gears and am working on fundraisers for 2 city council candidates who will be running in the May primary. Gardening also has its cyclical rhythms. I made a lot of mistakes this gardening season (as always) but there’s a fresh start next Spring. I love seasonal rhythms and can’t imagine life without seasonal change. Dahlias bloom from June until a hard frost. The only drawback is that the tubers have to be dug up and over-wintered. 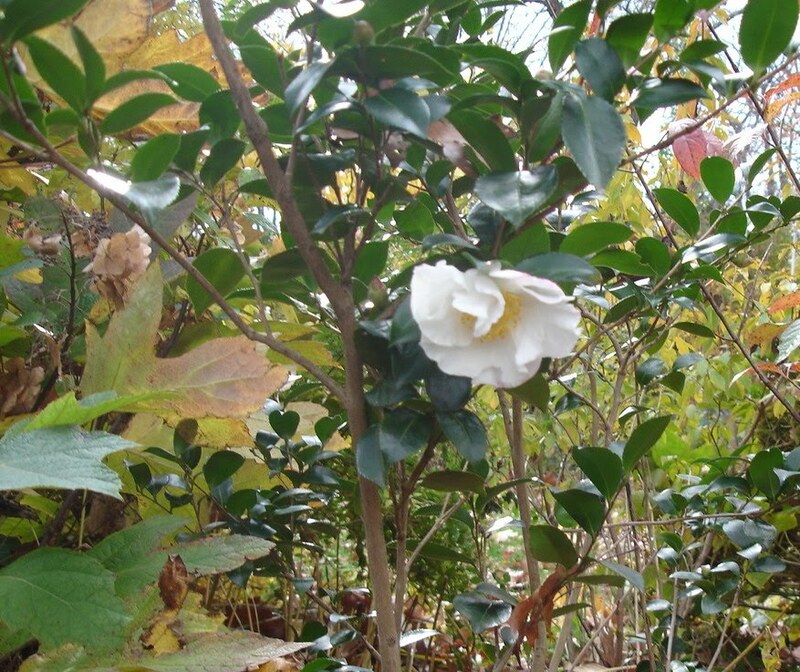 Hybridizers have finally developed camellias which are reliably winter hardy in the Delaware Valley. This variety (unfortunately name unknown) has gorgeous glossy leaves, delicate flowers and fragrance. This gracreful but amazingly tough perennial blooms from August to a hard frost. 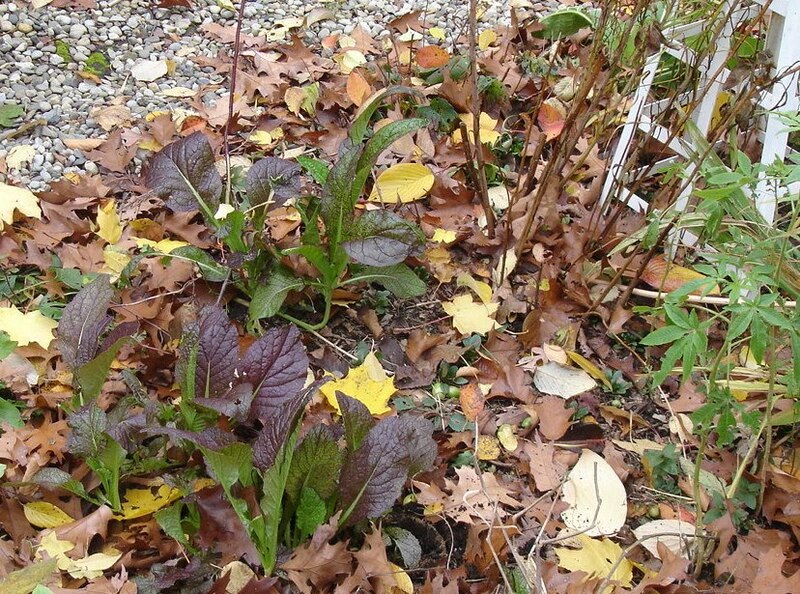 This vigorous self-seeder gets more pungent as we approach winter and easily survives a light frost. New Dawn is the toughest rose ever—-an incredibly vigorous climber and a repeat bloomer with an aromatic fragrance; it never gets black spot and sometimes blooms in December. So I’m enjoying these last flushes of bloom and getting ready for the great die down-—in some ways a welcome respite from garden work. And then it all comes roaring back in the Spring. There is one seasonal rhythm which no longer governs my life--the academic calendar. Just like gardening, if things didn’t go so well that season (or semester), there’s another chance with new students, a new improved syllabus. And like gardening, you never get it quite right—always room for improvement. But I don’t miss the academic rhythms. 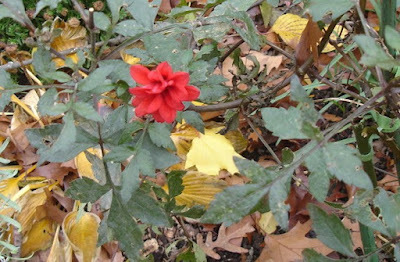 Gardening and politics supply my need for seasonal change! As I watch the migrating finches feasting on the remains of the crepe myrtle blossoms here in the desert southwest I, too, feel the passing of the seasons. Thanks for the photos; you've fed my lust for greenery this morning. 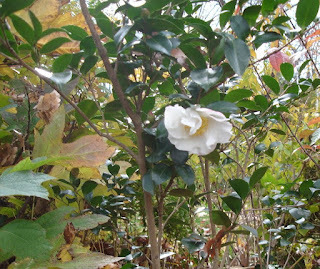 A camellia! 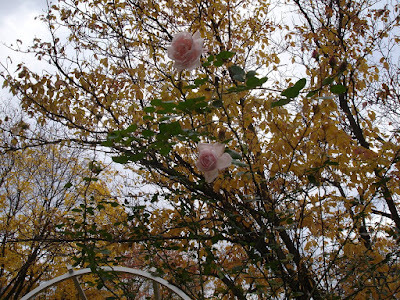 Such hardiness is unexpected given the fragility the name evokes. Each class day I have the treat of walking through Powelton's wonderful Summer Winter Community Garden, and the abundance still on display there is lovely, though even in high season there's not much fragrance along the pathway. It sounds like you're getting to reenergetic equilibrium pretty quickly, Karen. Here's to success in your city campaigns! We have the greenery but you have the glorious sunsets--trade-offs, trade-offs. Next time I'm in West Philly, I'll have to check out Powelton's Summer Winter Community Garden.I'm a real fan of community gardens, and didn't know about this one! It's a gem nestled along Race between between 33rd and Natrona, which is a half-block east of 33rd. It's amazing as I assume most community gardens are: kids playing in the sandbox and learning planting and tending basics, university students contributing service hours, neighbors out in all seasons tending this gift to an otherwise pretty beleagured area. 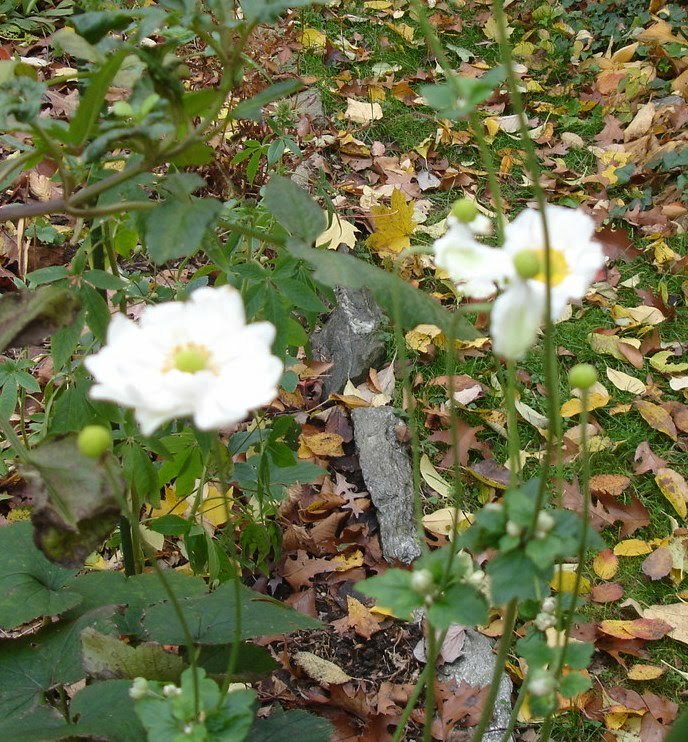 I love the Neighborhood Gardens Association and try to give them faithful support. You might, by the way, also want to visit the community garden my friend Kathy is president of, Hansberry Garden and Community Center at Hansberry and Wayne, and Spring Gardens between 18th and 19th and Wallace and North, which has probably the most beautiful fence I've ever seen.